There are several types of scoliosis with the most common being Adolescent Idiopathic Scoliosis. Whether it be AIS, Congenital, Neuromuscular, Early onset, or Adult, the symptoms caused by the asymmetrical curve and twist of the spine are mostly the same. In all these types of scoliosis, the shape and alignment of the skeleton is malformed, causing structural change. Because of this, the treatment options for one can often be applied to all. 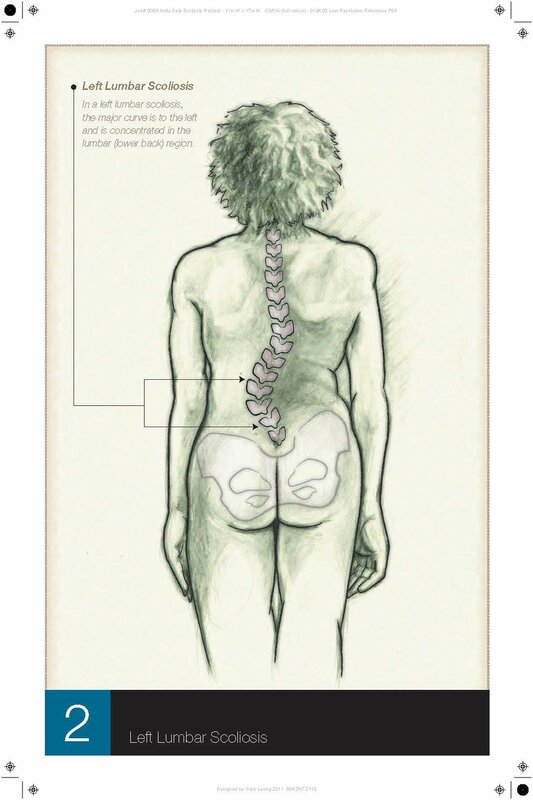 Functional or Non-structural Scoliosis is much more common than Structural Scoliosis and usually less serious. In most cases, the asymmetry is much less noticeable since the degree of curvature is usually less. 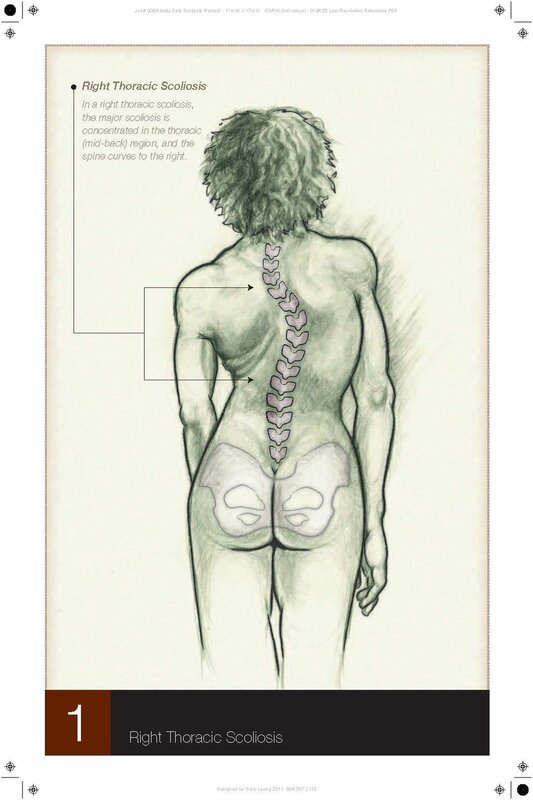 Functional Scoliosis only affects the back muscles and does not alter the structure of the body. With a regular, targeted exercise plan, Functional Scoliosis is almost always reversible. A rare form of scoliosis that occurs in utero and is therefore present from infancy. Its cause is unknown but it does usually require surgery to correct. Sometimes develops in individuals with neurological or muscular conditions that inhibit muscular function, such as muscular dystrophy, spina bifida or cerebral palsy. Appears between birth and puberty and is commonly divided into infantile scoliosis, occurring between birth and age 3, and juvenile scoliosis, occurring between the ages of 3 and 9. Occurs in children ages 10 to 18 and comprises nearly 80% of cases (60-80% of those in girls). Since adolescence is a period of rapid growth, this scoliosis can progress quickly and should be monitored closely. Nonstructural or Functional Scoliosis involves a change of spinal curvature usually caused by an underlying condition such as a difference in leg length, muscle spasms, or inflammatory conditions, (e.g. appendicitis), which may produce muscle spasm. Functional scoliosis is treated by correcting the underlying problem. Although there are 4 scoliotic patterns that are most common, as illustrated below, sometimes a curve can go in a completely different direction. Everyone's pattern is unique. One of life's mysteries is that while a curve can occasionally go to the left, most curves go to the right - the same finding that came out of research on guppies with scoliosis! A major curve that includes vertebrae in the lower thoracic and upper lumbar regions of the spine. Curvature is S-shaped if the curves move in opposite directions. A major curve that includes vertebrae in the lower thoracic and upper lumbar regions of the spine. Curvature can be C-shaped if thoracic and lumbar curves move in the same direction.